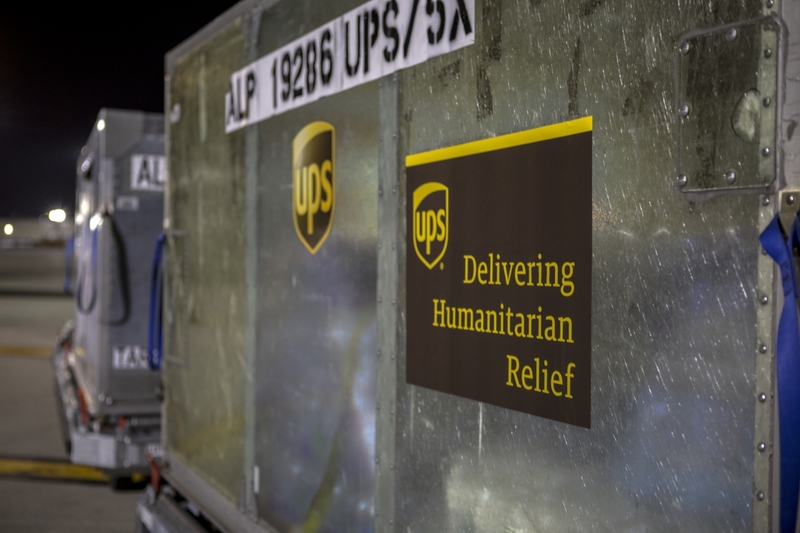 ATLANTA, April 12, 2018 /3BL Media/ - The UPS Foundation, which leads the global citizenship efforts of UPS (NYSE: UPS), today announced it is awarding 2018 grants and in-kind support totaling more than $16 million to non-profit, non-governmental organizations and United Nations agencies for humanitarian relief, community resilience and safety programs worldwide. Grants provide support for disaster response, preparedness and recovery, enhancing public health care supply chains and improving global road safety. Among the programs, The UPS Foundation is expanding its work with Gavi, the Vaccine Alliance, and Zipline, a California-based robotics company, to leverage drones to deliver life-saving blood, medicines and vaccines to remote communities like Rwanda. The global partnership, which was announced in May 2016 and formally launched the first drone deliveries in October 2016, has resulted in more than 4,000 drone deliveries expediting over 7,000 units of blood to remote hospitals across Rwanda. The world’s first national medical drone delivery network in Rwanda has proven so successful that in 2018 it’s being expanded across all of Rwanda. The UPS Foundation’s top goal is to leverage its philanthropy, the resources of UPS and expertise of its employees to create public-private partnerships that are dedicated to advance the resiliency of communities around the world. “UPS is honored to work side-by-side with these preeminent institutions who together are impacting the lives of people in crisis today and helping to “future proof” these communities so that they can thrive in a safer, healthier and more prosperous world,” said Martinez. The UPS Foundation also will award grants that help extend the reach of UPS Road Code™, a teen and novice safe driving training program available in the United States and internationally. Taught by UPS volunteers and based on the company’s safe-driving methods, the program is available to teens between the ages of 13 and 18. To date, more than 48,000 teenagers have participated. The program has been extended to Canada, China, Germany, Mexico, the United Kingdom and the United Arab Emirates. The program is offered in the U.S. with the Boys & Girls Clubs of America, and overseas in six countries with various youth development organizations. The UPS Foundation has contributed $16.6 million to the UPS Road Code program since its inception. These community investments are part of The UPS Foundation’s commitment to the United Nation’s Sustainable Development Goals and advancing humanitarian action and global resilience by combining its philanthropy with the resources of UPS and the expertise and volunteer spirit of UPSers all over the world. For more information about UPS’s philanthropic and volunteerism efforts, please visit www.UPS.com/Foundation. UPS (NYSE: UPS) is a global leader in logistics, offering a broad range of solutions including the transportation of packages and freight; the facilitation of international trade, and the deployment of advanced technology to more efficiently manage the world of business. Since its founding in 1907, UPS has built a legacy as a caring and responsible corporate citizen, supporting programs that provide long-term solutions to community needs. Founded in 1951, The UPS Foundation leads its global citizenship programs and is responsible for facilitating community involvement to local, national, and global communities. In 2017, UPS and its employees, active and retired, invested more than $118 million in charitable giving around the world. The UPS Foundation can be found on the web at UPS.com/Foundation and @UPS_Foundation on Twitter. To get UPS news direct, follow @UPS_News on Twitter.